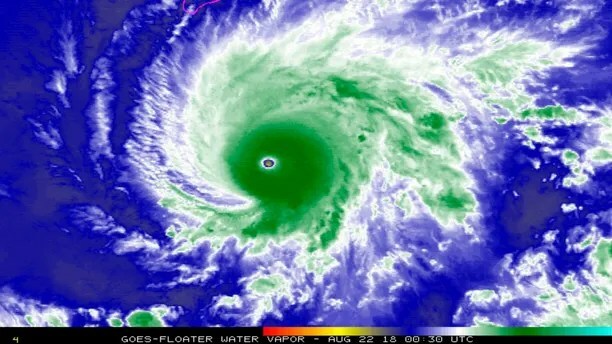 Hurricane Lane, which is headed toward Hawaii, strengthened on Tuesday to a Category 5 storm, the National Weather Service announced. The hurricane could now produce winds 157 mph or above, heavy rain, flash flooding and high surf. The winds are capable of knocking down trees and power poles, the NWS said. The hurricane is about 500 miles southeast of Honolulu as of Wednesday morning. The weather service also issued a hurricane watch for Maui and other smaller islands, meaning tropical storm-force winds, excessive rain and large swells could arrive starting Wednesday. It’s possible Oahu and Kauai may later be included in an advisory for the hurricane. But the hurricane center said the storm will move very close to or over the islands from Thursday through Saturday. Hawaii Gov. David Ige signed an emergency proclamation on Tuesday in anticipation of the storm, which would provide relief for disaster damages, losses and suffering as a result of the hurricane. 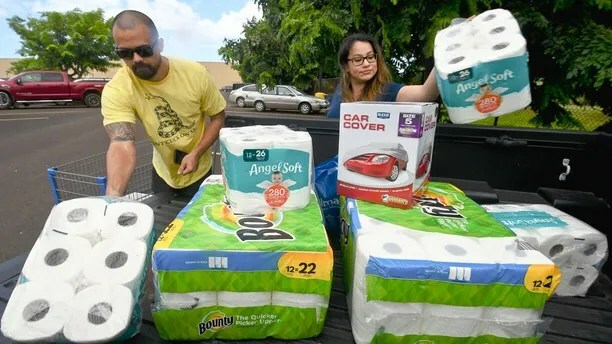 Hawaii residents rushed to stores to stock up on bottled water, ramen, toilet paper and other supplies. Maui County and Big Island schools will be closed starting Wednesday until further notice, the state Department of Education said. All after-school activities statewide are canceled for the rest of the week. Kauai resident Mike Miranda was 12 when Hurricane Iniki devastated the island 26 years ago. He said Iniki’s turn into the islands was sudden.